See below for detailed hours. 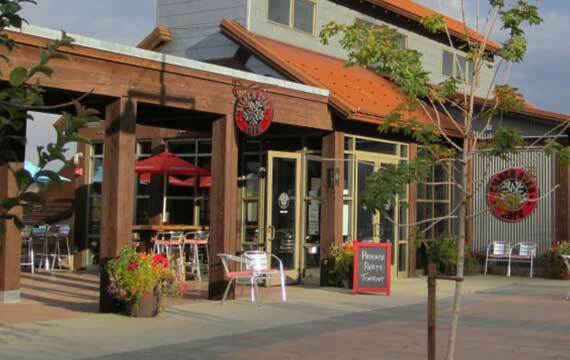 We are located directly behind and overlooking the Park City Golf Club, at the base of the Silver Star ski chair at Park City Mountain Resort, and at the trailheads of the Spiro and Armstrong mountain biking and hiking trails. We have 360-degree mountain, town and golf course views. The Café features full offerings of wine, beer and craft cocktails. The food and service are fine-dining, yet warmly welcoming. Come as you are, whether it’s straight from the ski hill or hiking trail, or out for a special celebration. Mon -Wed: Lunch 11 a.m. to 2:45 p.m. Dinner 5:30 to 9:00 p.m.
Thurs - Fri: Lunch 11 a.m. to 2:45 p.m. Dinner 5:30 to 10:00 p.m. Live acoustic music dinner show from 7:30 to 10:00 p.m. Sat: Brunch 9 a.m. to 2:45 p.m. Dinner 5:30 to 10:00 p.m. Live acoustic music dinner show from 7:30 to 10:00 p.m.
Sun: Brunch 9 a.m. to 2:45 p.m. Dinner 5:30 to 9:00 p.m.
Silver Star Cafe is a hidden gem: an intimate, upscale rustic cafe with award-winning Roots Cuisine-- a contemporary, from-scratch, diverse expression of regional foods and flavors of the American Melting Pot. It is a gathering place where locals and guests alike are treated as welcome friends, where the focus is on great food, ambiance, service and acoustic music-- what we call "The four legs of our table." There is a cozy dining room with only 50 seats, and in warmer months, additional dining on a wrap-around outdoor patio and plaza. Lunch is offered Monday through Friday, brunch Saturday and Sunday, and dinner nightly. During winter and inclement weather, performances are held on an intimate indoor stage, with an atmosphere similar to a house concert. In warm summer months, shows are outside, on the patio stage. There is no charge for the music, but guests must be dining at the Cafe. These performances are very popular, and seats go fast. Although we don't take lunch or brunch reservations, we strongly recommend dinner reservations. We're a tiny place, and we fill up fast!